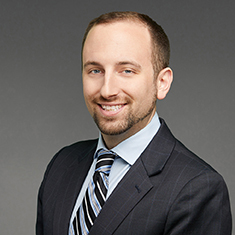 Jeffrey D. Glickman focuses his practice on estate planning for individuals and families, as well as estate and trust administration for individuals and corporate fiduciaries. Jeff's overarching goal is to provide tailored and creative solutions for the unique circumstances of each client—after all, in Jeff's mind, estate planning is not one-size-fits-all. As a CPA and former tax accountant, Jeff frequently combines his legal acumen of estate planning with the tax and other numbers-driven aspects of transferring wealth. As a licensed Florida attorney, Jeff has experience with planning and administering estates for Florida residents as well as advising clients on establishing Florida residency. As part of his practice, Jeff drafts all types of wealth transfer documents, including wills, revocable living trusts, insurance trusts, dynasty trusts, complicated non-grantor trusts, GRATs, charitable trusts, premarital agreements and various agreements to modify irrevocable trust instruments. Jeff has experience drafting and reviewing gift tax returns, estate tax returns, and has handled all aspects of probate estates in Illinois and Florida.